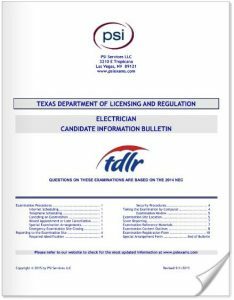 The following is taken verbatim from the PSI Electrician Candidate Information Bulletin. Make sure to read this list carefully, many guys have been turned away for not following directions and forget about getting a refund. 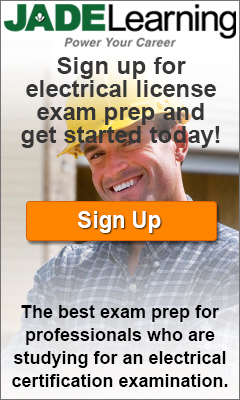 We've heard stories of guys walking into the testing centers for the electrical exam with papers glued onto their electrical code books thinking they can sneak extra notes and a few answers. I've also heard stories of a guy that walked in wearing a pin that was actually a spy cam. Can you believe it? Someone actually went out and bought a camera at a spy store, put it on and walked into the testing center to attempt to record his electical exam? Well, no he didn't get away with it, he got caught and he got kicked out. 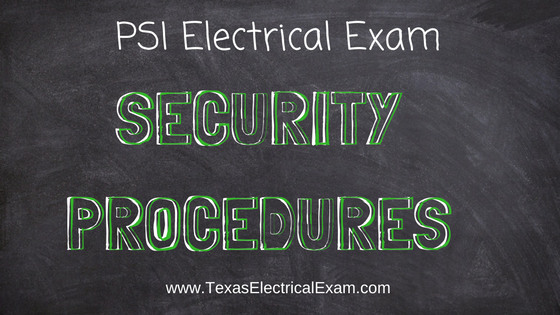 The PSI testing centers have strict rules and will go through each electrical code book and flip through each page to make sure you aren't trying to sneak something past them. The exam proctors will check your driver's license or photo id before they let you sit for the test. These rules have grown considerably since the last decade and it has grown for a reason. Thanks to a handful of guys who have tried some not-so-smart stuff in the past, we have all sorts of security rules and procedures to follow. 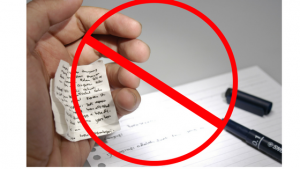 Here is a list of Do's and Dont's for the PSI Examination Center.  Only non-programmable calculators that are silent, battery-operated, do not have paper tape printing capabilities, and do not have a keyboard containing the alphabet will be allowed in the examination site. Take a look at these approved calculators. If you don't have one, you can order an affordable at Amazon.  Candidates may take only approved items into the examination room. This includes the electrical code book, calculator, magnifying glass, glasses, straight edge ruler. - Electronic devices of any type, including cellular / mobile phones, recording devices, electronic watches, cameras, pagers, laptop computers, tablet computers (e.g., iPads), music players (e.g., iPods), smart watches, radios, or electronic games. - Bulky or loose clothing or coats that could be used to conceal recording devices or notes, including coats, shawls, hooded clothing, heavy jackets, or overcoats. - Hats or headgear not worn for religious reasons or as religious apparel, including hats, baseball caps, or visors. 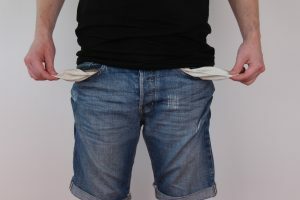 - Other personal items, including purses, notebooks, reference or reading material, briefcases, backpacks, wallets, pens, pencils, other writing devices, food, drinks, and good luck items.  Person(s) accompanying an examination candidate may not wait in the examination center, inside the building or on the building's property. This applies to guests of any nature, including drivers, children, friends, family, colleagues or instructors. 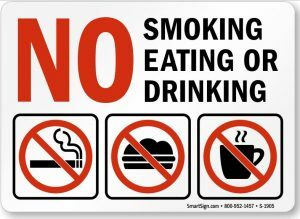  No smoking, eating, or drinking is allowed in the examination center.  During the check in process, all candidates will be asked if they possess any prohibited items. Candidates may also be asked to empty their pockets and turn them out for the proctor to ensure they are empty. The proctor may also ask candidates to lift up the ends of their sleeves and the bottoms of their pant legs to ensure that notes or recording devices are not being hidden there.  Proctors will also carefully inspect eyeglass frames, tie tacks, or any other apparel that could be used to harbor a recording device. Proctors will ask to inspect any such items in candidates’ pockets.  If prohibited items are found during check-in, candidates shall put them in the provided secure storage or return these items to their vehicle. PSI will not be responsible for the security of any personal belongings or prohibited items.  Any candidate possessing prohibited items in the examination room shall immediately have his or her test results invalidated, and PSI shall notify the examination sponsor of the occurrence.  Any candidate seen giving or receiving assistance on an examination, found with unauthorized materials, or who violates any security regulations will be asked to surrender all examination materials and to leave the examination center. All such instances will be reported to the examination sponsor.  Copying or communicating examination content is violation of a candidate’s contract with PSI, and federal and state law. Either may result in the disqualification of examination results and may lead to legal action.  Once candidates have been seated and the examination begins, they may leave the examination room only to use the restroom, and only after obtaining permission from the proctor. Candidate will not receive extra time to complete the examination.